(rated current,2 phase on) Ambient Temperature -10&deg;C~+50&deg;C Insulation Resistance 100M&Omega;Min. 500VDC Dielectric Strength 500VAC for one minute Shaft Radial Play 0.06Max. 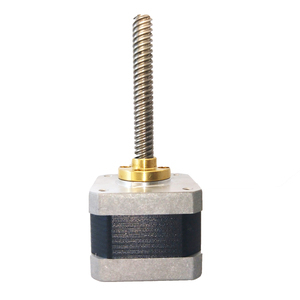 (450 g-load) Phase Voltage Current Inductance Resistance Holding Rotor Weight Length Wire No. 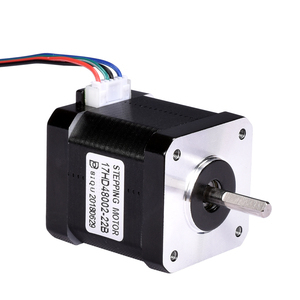 nema17 1.5A 0.4nm lead screw stepper motor, linear actuator motion stepper motor for 3D print Why choose us9 3D print stepper motors are in rich stock, please contact us freely! Most popular models are listed. 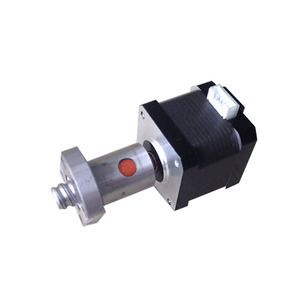 For automatic industrial nema17, please click : For NEMA 17 encoder, please click : For more, please contact us freely! If you plan on replacing a motor in an existing application, just send us a drawing or sample and we can help you find a suitable replacement. If you have special needs, please let us know and we will try our best to send you samples as soon as possible. In the rare case that an issue does arise, we will work with you to solve any problems in a timely and transparent manner. F AQ 1. Could I have prices of your products9 Pls feel free to send us an email here. 4. Can I get the drawing of stepper motor9 Yes, we will provide the drawing of stepping motor. Equipment With world-class testing equipment, products reach the international advanced level. (mm);5 lead (inch);0.079 lead (mm);2 Resolution (mm);0.01 Screw Pitch (mm);1 Tr6.35*1.58 , Length 400mm Screw Dia. (mm);6.35 lead (inch);0.62 lead (mm);1.58 Resolution (mm);0.0079 Screw Pitch (mm);1.58 Tr6.35*3.16 , Length 400mm Screw Dia. 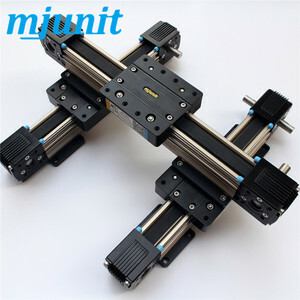 (mm);6.35 lead (inch);0.124 lead (mm);3.16 Resolution (mm);0.0158 Screw Pitch (mm);1.58 Tr6.35*6.32, Length 400mm Screw Dia. Motor Description Step Angle 1.8&deg; Temperature Rise 80&#8451;Max Ambient Temperature -20&#8451;Max~+50&#8451; Insulation Resistance 100M&Omega;Min. ,500VDC Dielectric Strength 500VAC for 1 minute Shaft Radial Play 0.02Max(450g-load) Shaft Axial Play 0.08Max(450g-load) Max. Axial Force 10N Model Voltage(V) Rated Current(A) Phase Resistance(&Omega;) Holding Torque (Kg. 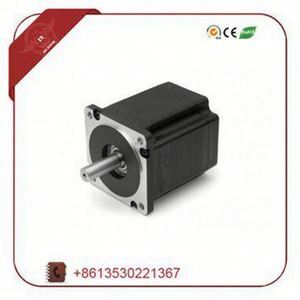 Changzhou Baolong Automation Technology Co., Ltd.
Alibaba.com offers 24,122 linear stepper motor products. About 12% of these are stepper motor, 10% are laser cutting machines, and 3% are linear guides. 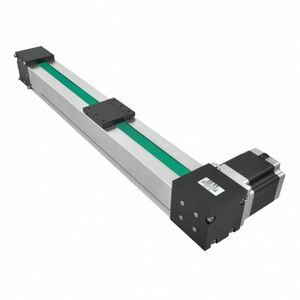 A wide variety of linear stepper motor options are available to you, such as permanent magnet, hybrid, and variable reluctance. You can also choose from ce, ccc, and rohs. As well as from 2, 4, and 3. 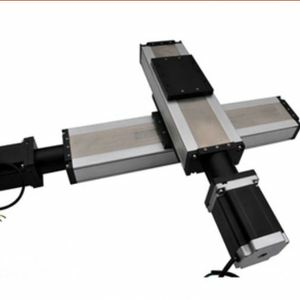 And whether linear stepper motor is free samples, or paid samples. 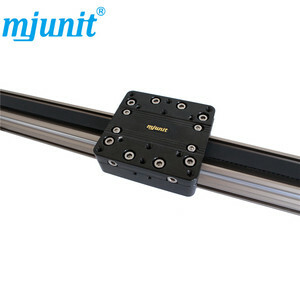 There are 24,129 linear stepper motor suppliers, mainly located in Asia. The top supplying countries are China (Mainland), Taiwan, and Turkey, which supply 99%, 1%, and 1% of linear stepper motor respectively. Linear stepper motor products are most popular in North America, Domestic Market, and Mid East. You can ensure product safety by selecting from certified suppliers, including 4,731 with Other, 4,424 with ISO9001, and 542 with ISO14001 certification.